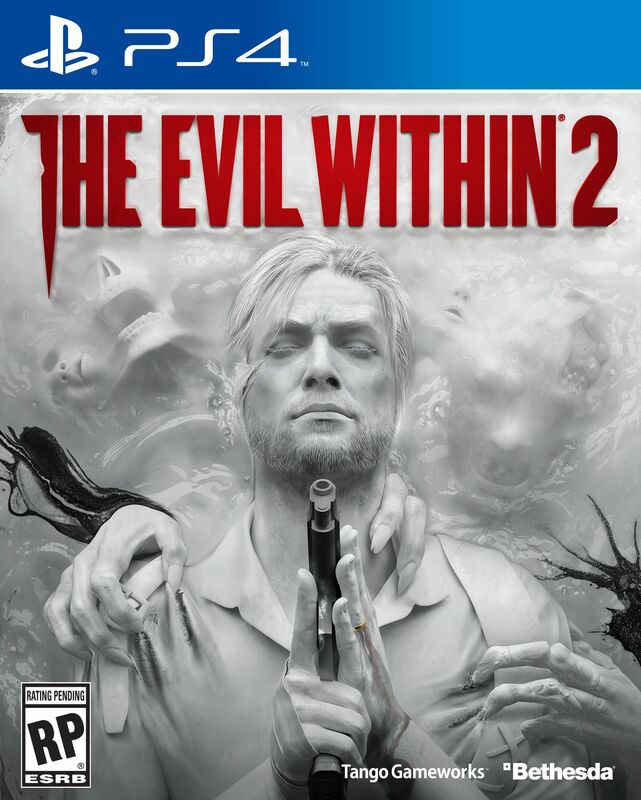 Three years after the events at Beacon Mental Hospital, Sebastian Castellanos has left the Krimson City Police Department and continues to be haunted by his experiences at Beacon, the disappearance of his wife Myra, and the death of his daughter Lily in a house fire. Sebastian is then approached by former partner and Mobius agent Juli Kidman, who reveals to him that Lily is still alive since Mobius faked her death. However, Mobius now needs Sebastian’s help in saving her. Sebastian is brought to a secret Mobius facility where he meets the Administrator, who further explains that Lily is being used as the Core for a new STEM system to simulate an idyllic town called Union. However, some time ago, Mobius lost contact with Lily and their agents inside Union, and they no longer have any control over the STEM. Sebastian reluctantly agrees to help Mobius so that he has a chance to save Lily and enters the STEM. Upon entering Union, Sebastian quickly finds that the town has been turned into a nightmare realm where all of the inhabitants have either been killed or mutated into bloodthirsty monsters. In addition, Sebastian witnesses a mysterious photographer with supernatural powers hunting down and murdering Mobius operatives. He manages to meet Liam O’Neal, a surviving Mobius agent who helps Sebastian track Lily’s whereabouts. As Sebastian follows her trail, he realizes that Lily has been kidnapped by the photographer, who reveals himself as Stephano Valentini, a serial killer who had managed to infiltrate Union. Another surviving Mobius operative, Yukiko Hoffman, explains that Stephano’s status as a psychopath gives him a measure of control over the STEM, granting him his powers. Sebastian tracks down Stephano, who reveals that he had originally kidnapped Lily under orders from another party, but decided to keep her for himself to exploit her powers as the Core. Sebastian kills Stephano, but is shocked to see Myra spirit Lily away. Sebastian is then approached by Father Theodore Wallace, who attempts to convince Sebastian to join him to seize Lily from Myra since Stephano betrayed him. Sebastian, mistrustful of Theodore, refuses and is banished to a forest outside Union where he meets with Esmeralda Torres. She reveals to him that she, Kidman, Theodore, and Myra had conspired to break Lily out of STEM and destroy Mobius from within. However, the plan went awry when Theodore decided to kidnap Lily for himself. Sebastian goes to check on O’Neal to find a new lead but discovers that he has already been corrupted by Theodore. Sebastian rescues Hoffman from O’Neal and is forced to kill him, though O’Neal tells them how to find Theodore with his dying breath. Sebastian and Esmeralda assault Theodore’s realm, but the attack fails when Theodore disables Sebastian by using his own guilt and self doubt against him. Sebastian is visited by a vision of Myra, who assures him that what happened to Lily wasn’t his fault and that he should focus on saving her. When Sebastian wakes up, he finds out that Esmeralda had sacrificed herself to get him to safety. Hoffman tells him that Theodore has erected his stronghold in the center of Union. Both Sebastian and Hoffman assault Theodore’s stronghold, but Hoffman is killed after helping Sebastian breach the stronghold. Sebastian then fights his way to and defeats Theodore, who is killed by Myra. However, Myra tells Sebastian to leave the STEM and leave her and Lily alone. Confused, Sebastian follows Myra to a recreation of their home. Sebastian finally confronts Myra, whose desire to protect Lily has warped her into a monster determined to keep Lily locked in the STEM for her own safety. He reluctantly battles Myra and defeats her, knocking her back to her senses. She tells Sebastian to take Lily out of the STEM, revealing that she is planning to sacrifice herself to take Lily’s place as the Core and destroy Mobius by overloading the chips in their brains that keep them connected to the STEM. Meanwhile, in the real world, Kidman is ordered by the Administrator to eliminate Sebastian. She disobeys him and helps Sebastian and Lily escape the STEM while Myra enacts her plan, killing the Administrator and all Mobius operatives. Now free from Mobius, Sebastian, Lily, and Kidman leave the facility. In a post-credits scene, Sebastian parts ways with Kidman and goes off to live a new life with Lily. Back at the now abandoned Mobius facility, the STEM system mysteriously reactivates itself.